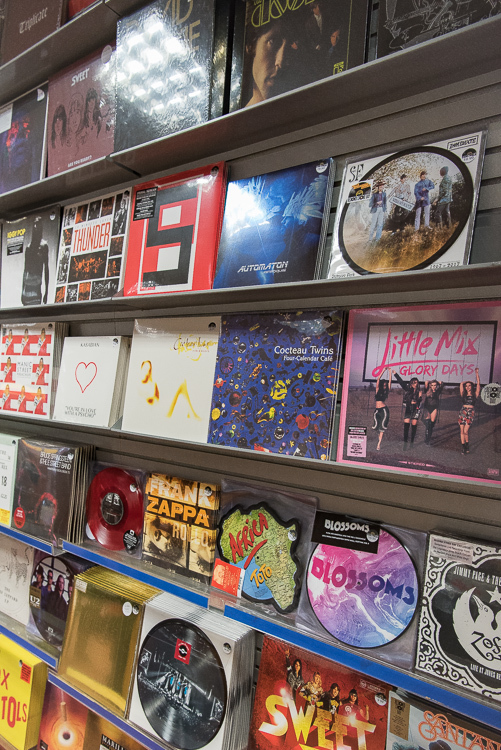 I've covered Record Store Day with MusicMuso a few times now and it's now rapidly turning into one of my favourite events to cover each year. I spend a lot of time in the pit shooting various musicians and bands but I don't really get a chance to connect with people. I might just manage a short chat over the roar of the music but you can't really hold a conversation. 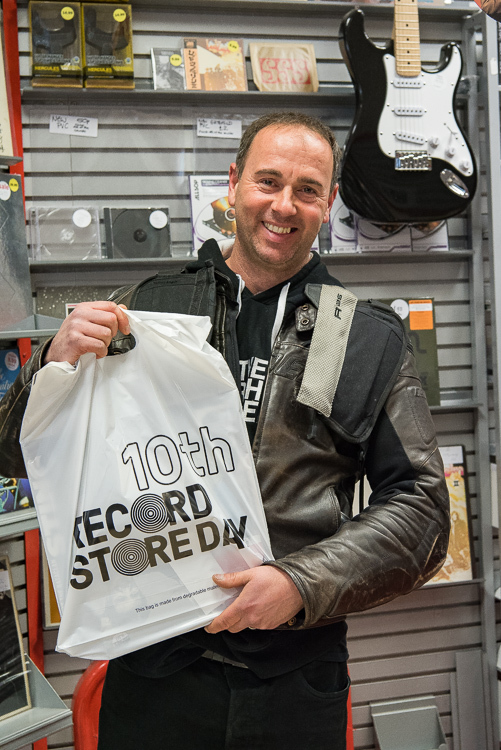 So I was very excited about joining Steve from MusicMuso to cover Record Store Day this year at Phoenix Sound in Newton Abbot. However, my excitement seemed to diminish a little when the alarm went off at 6 am. It's not that I'm not used to getting up early but I had a late finish yesterday after shooting coastal landscapes in Cornwall. Anyway, it was nothing a strong cup of black coffee wouldn't fix! I don't know Newton Abbot that well so I wasn't sure where exactly Phoenix Sound was but as I turned the corner at Queen Street and saw the extensive queue I knew I had the right place. Time to get to work! 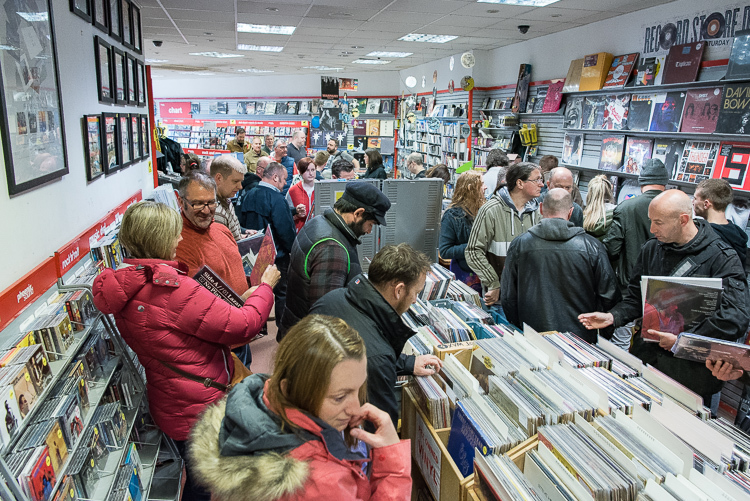 Over the next couple of hours, I took pictures of the shop, the vinyl on sale and those eager vinyl fans. There is no doubt that some of those shoppers, who started queuing at 3:30 am, are a passionate and fun bunch. 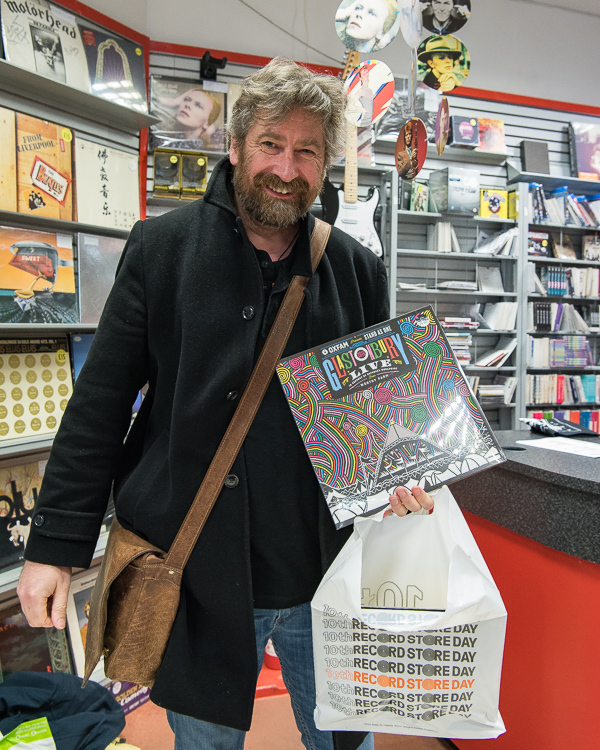 Despite most of them probably having even less sleep than me they were more than willing to discuss their purchases and their passion for vinyl. It was just good to engage with and photograph so many dedicated music fans. 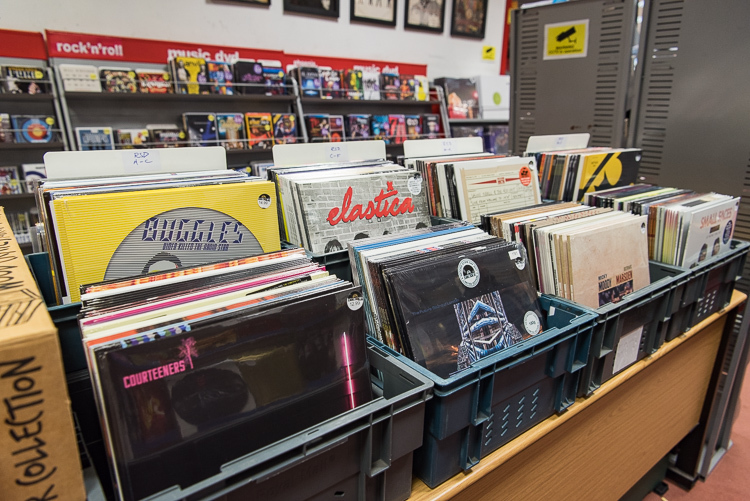 Anyway, expect a full write-up of our trip to Record Store Day at Phoenix Sound in Newton Abbot over on MusicMuso really soon, but in the meantime here are some of the shots that I took...See you next time on The Unplugged Blog.